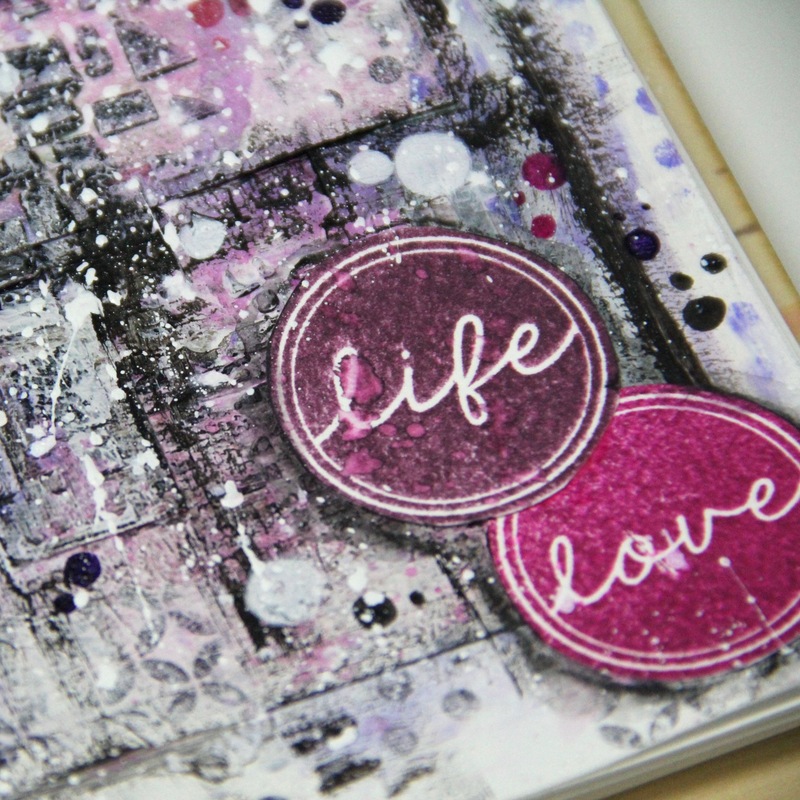 today I have for you 2 projects for inspiration. 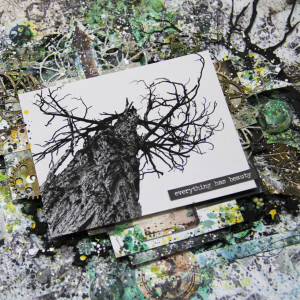 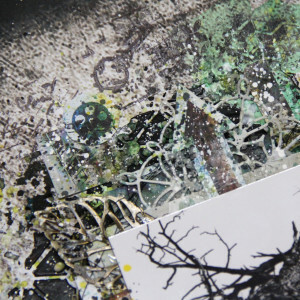 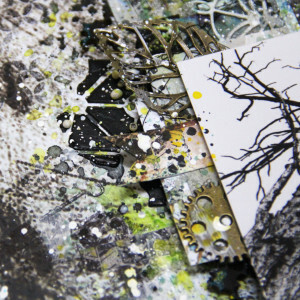 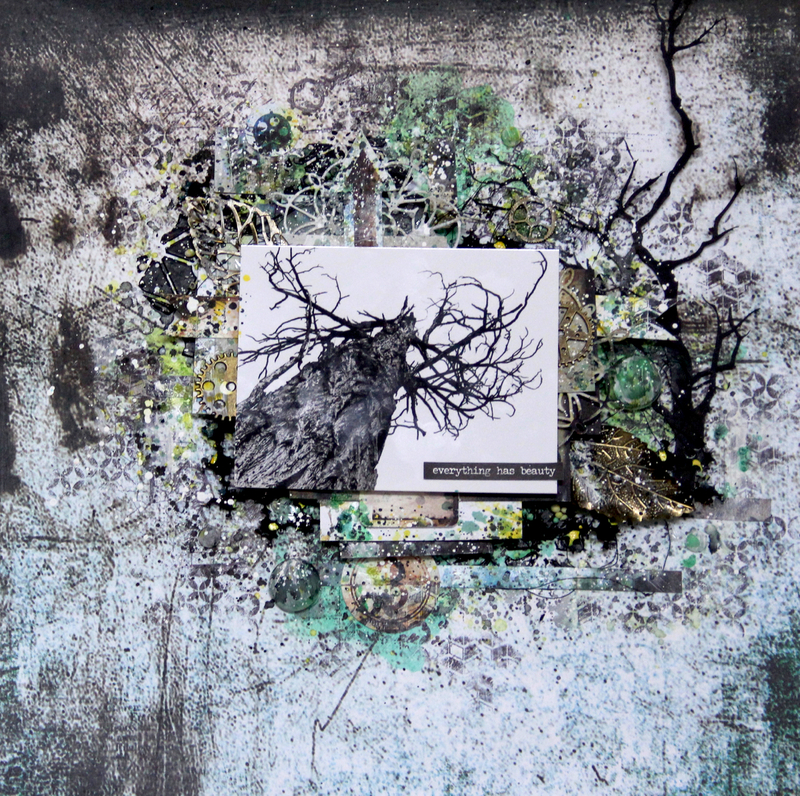 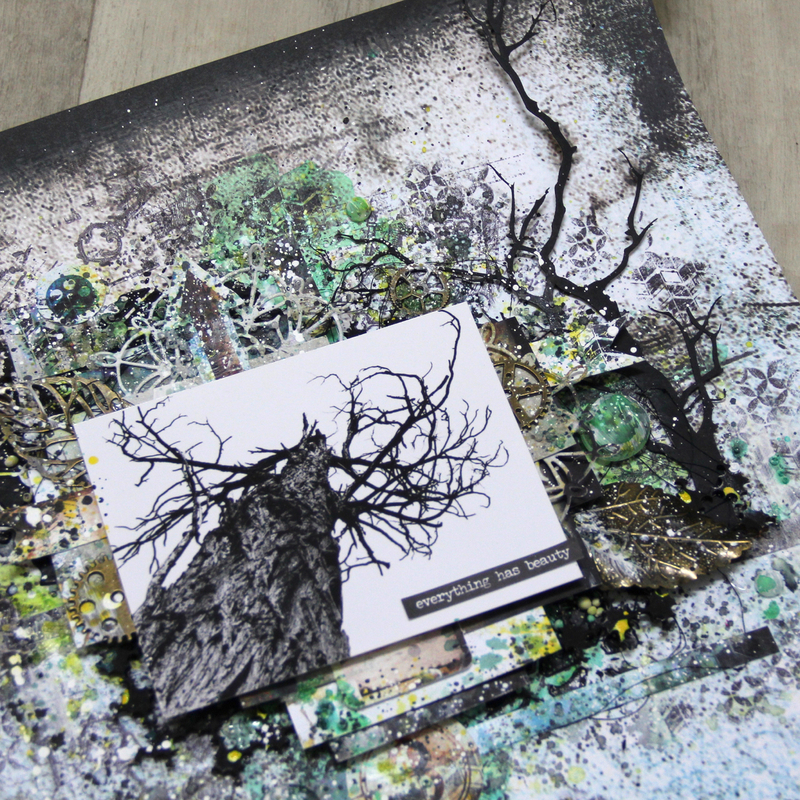 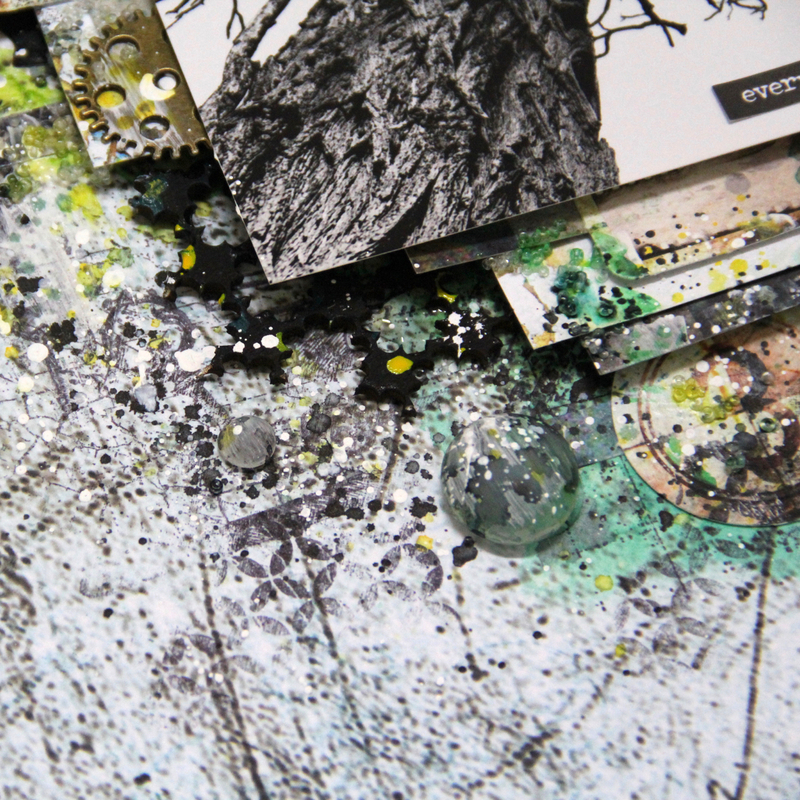 The first one is mixed media canvas and second is mixed media layout. 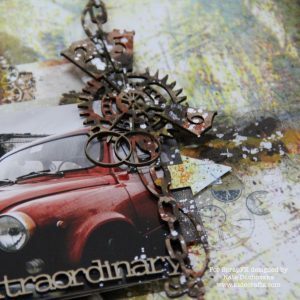 Both in Steampunk style. 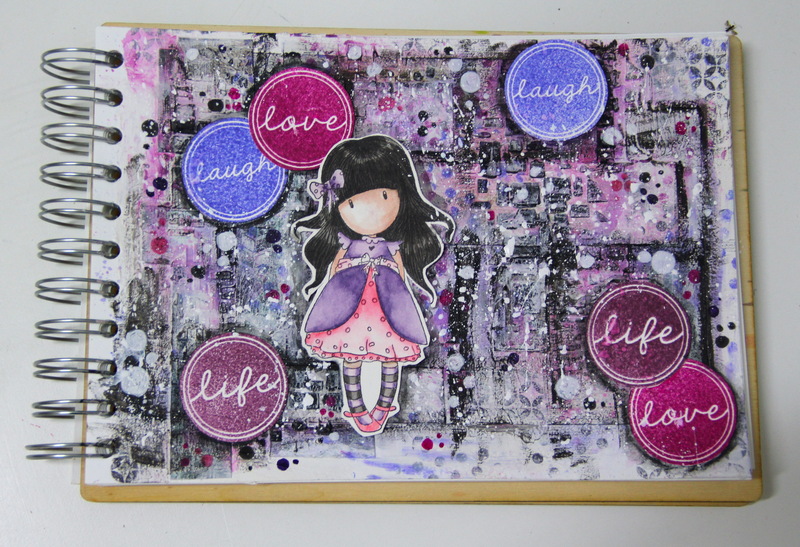 Making mixed media canvas is always fun. 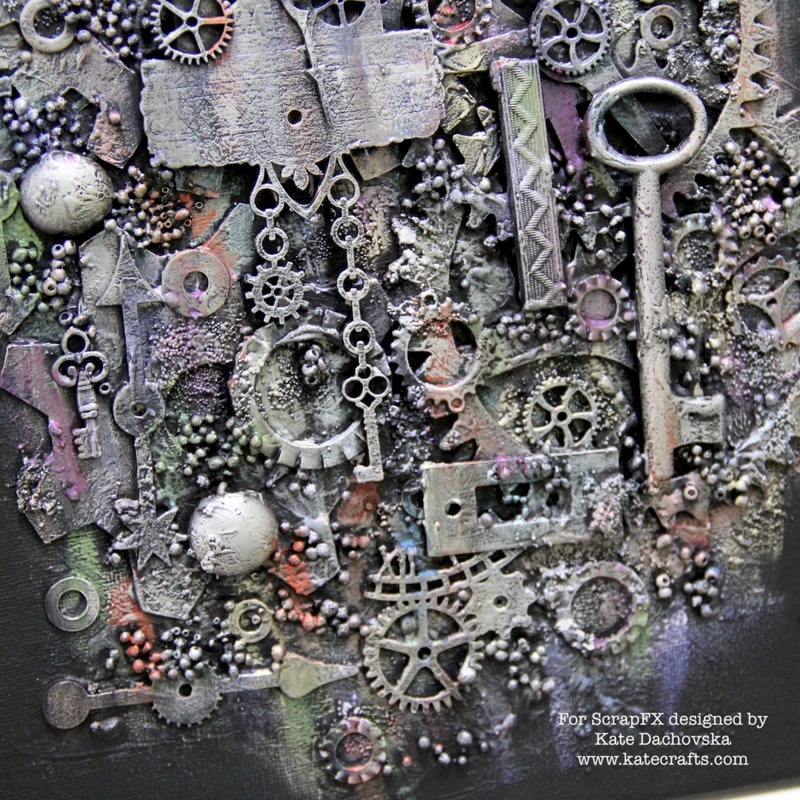 Here I glued different embellishments mainly chipboards and some very old things which I found in my grandpas workshop and also some metal embellishments. 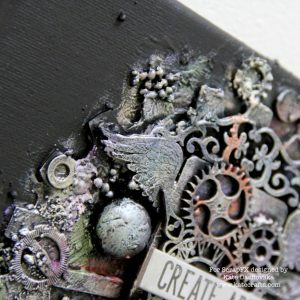 When everything was at place and dry I applied over whole canvas black gesso and than I used Finnabair waxes. 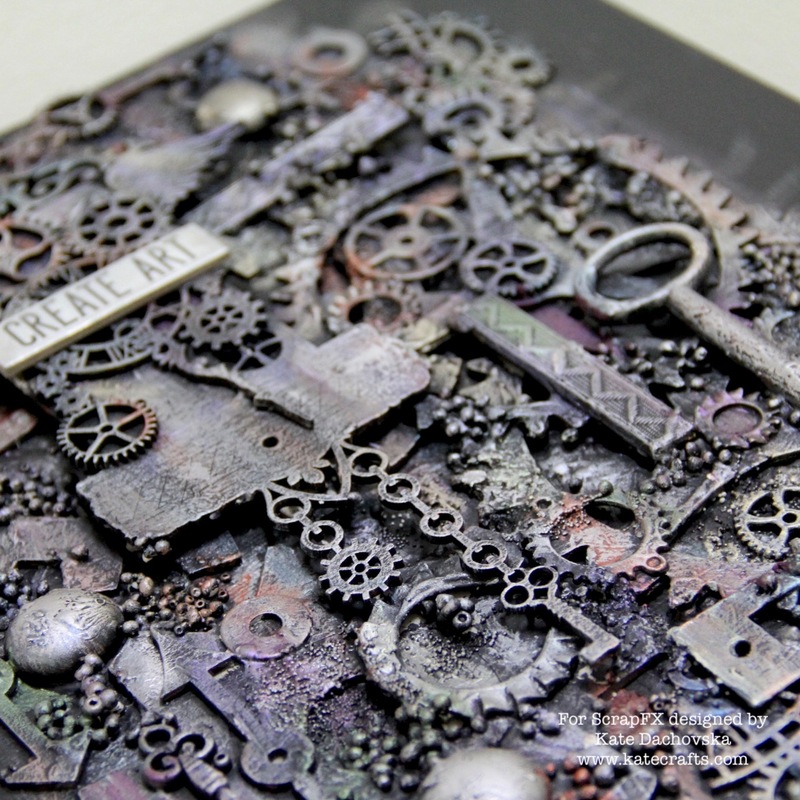 I wanted to make slightly different canvas, more colourful but still steampunk. I really love result it is interesting unusual original. 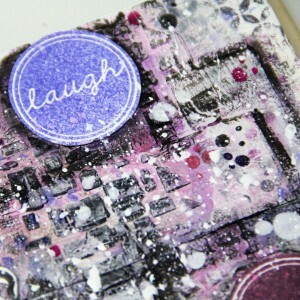 Try it too. 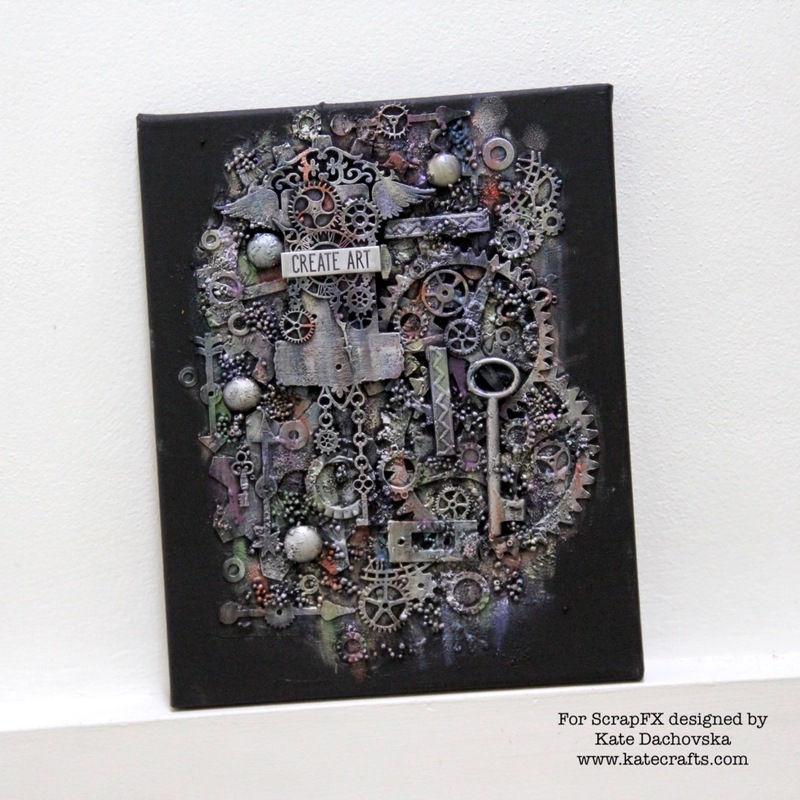 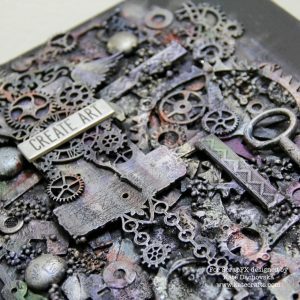 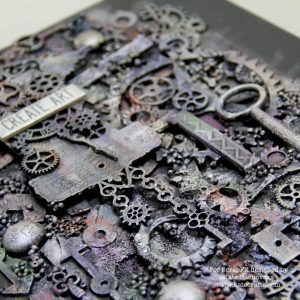 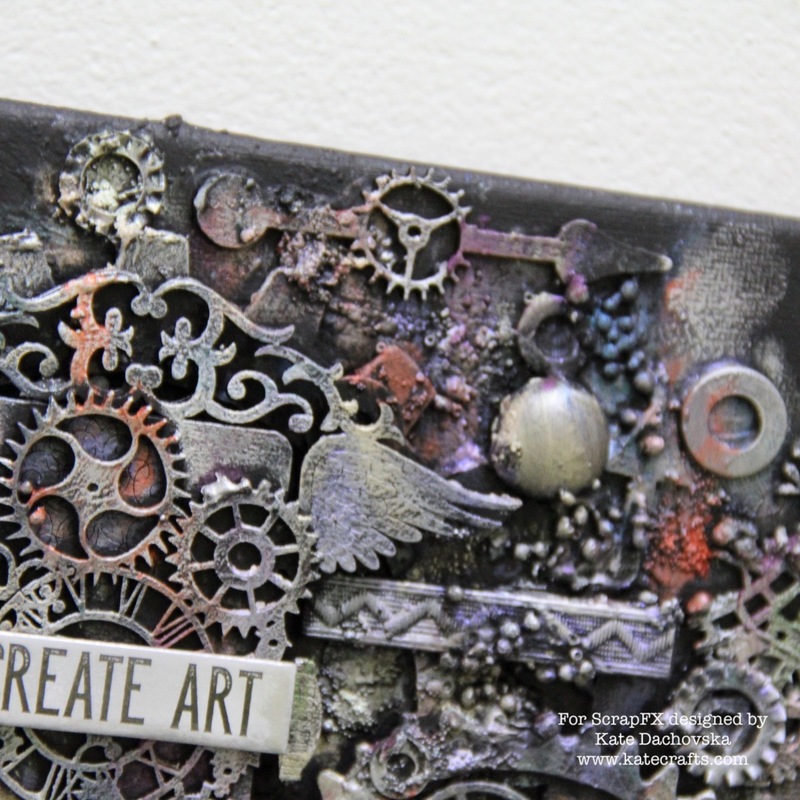 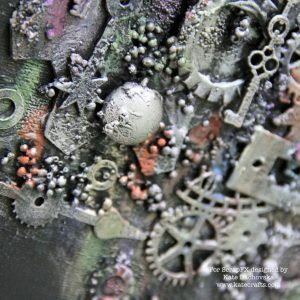 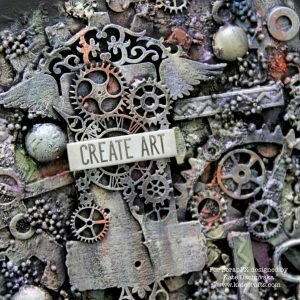 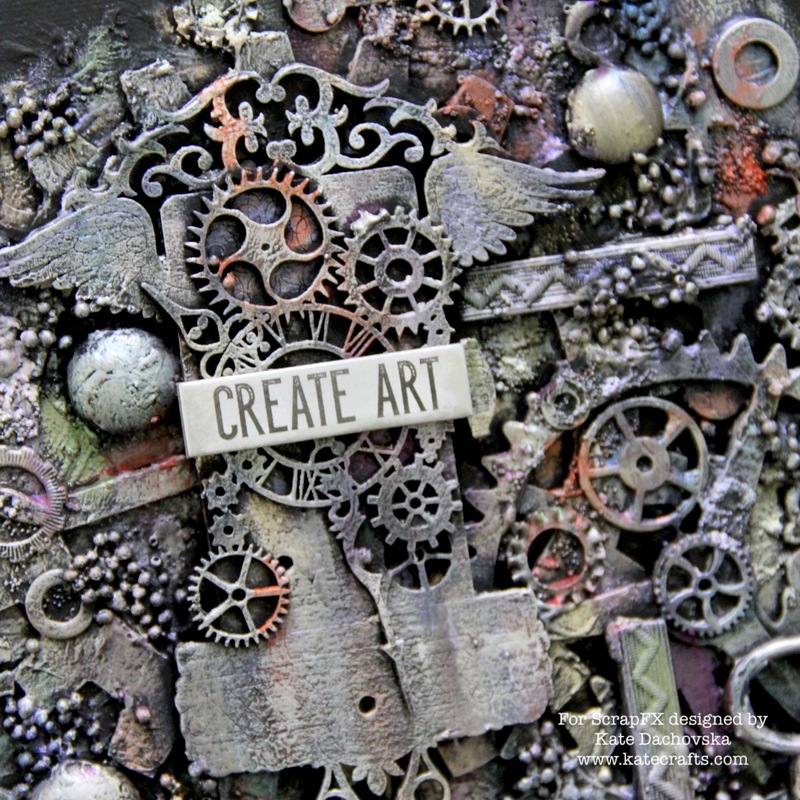 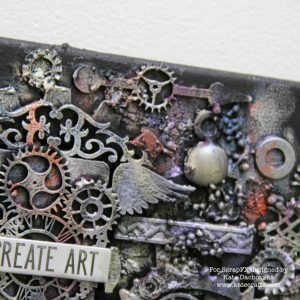 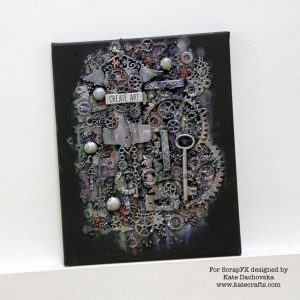 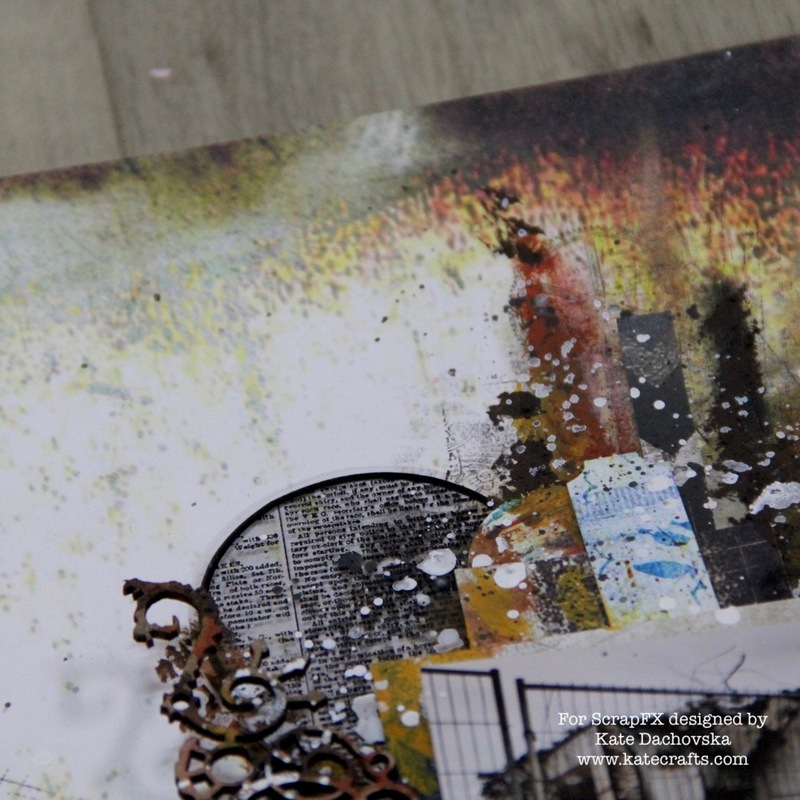 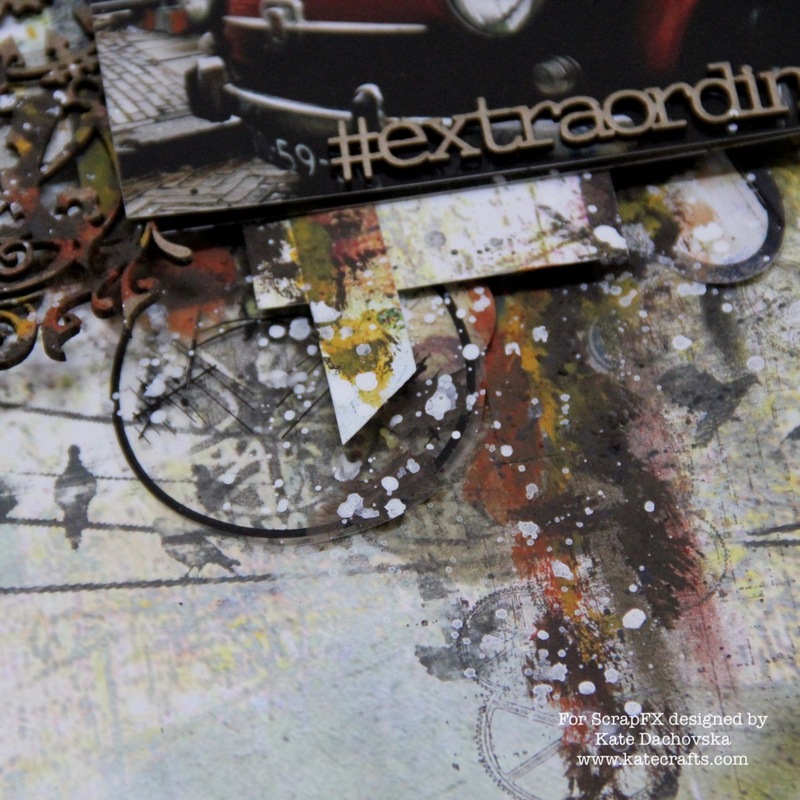 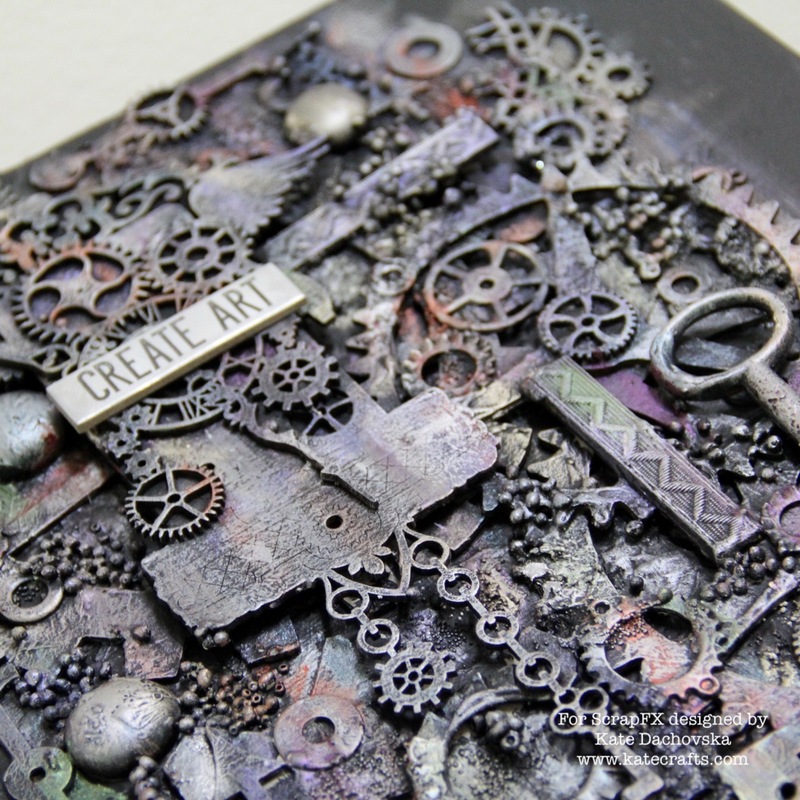 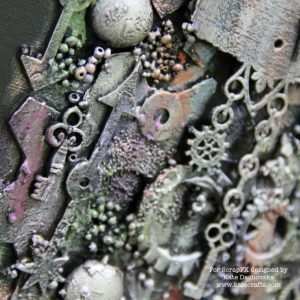 This is my first steampunk mixed media layout. 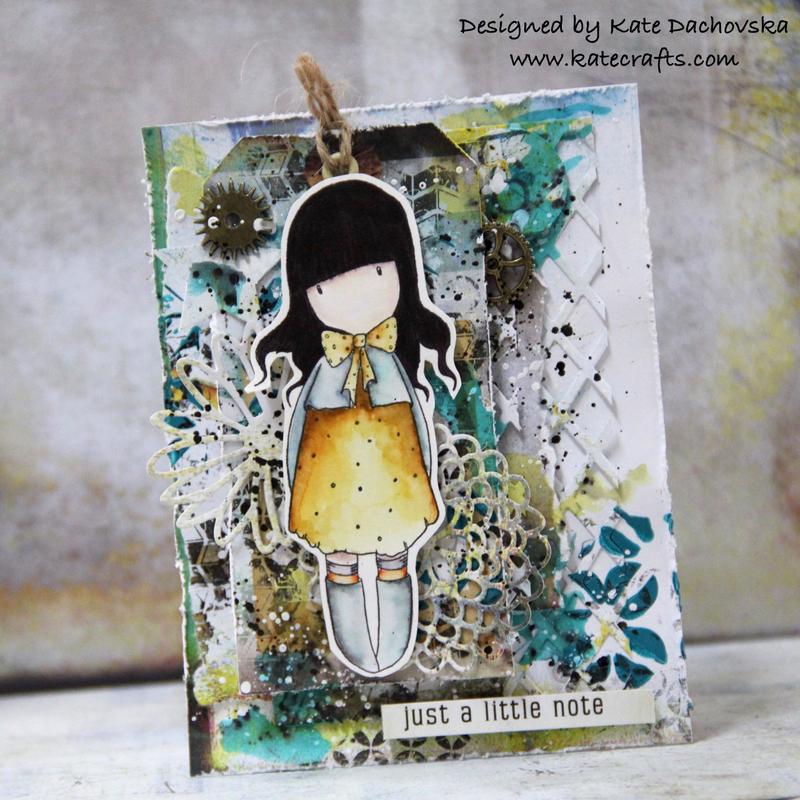 As a base I used 7 dots studio paper. Background is coloured with Distress crayons and Gelatos. 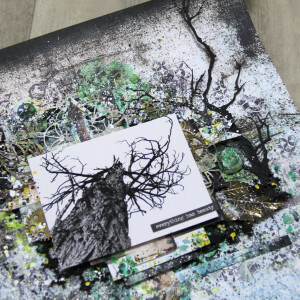 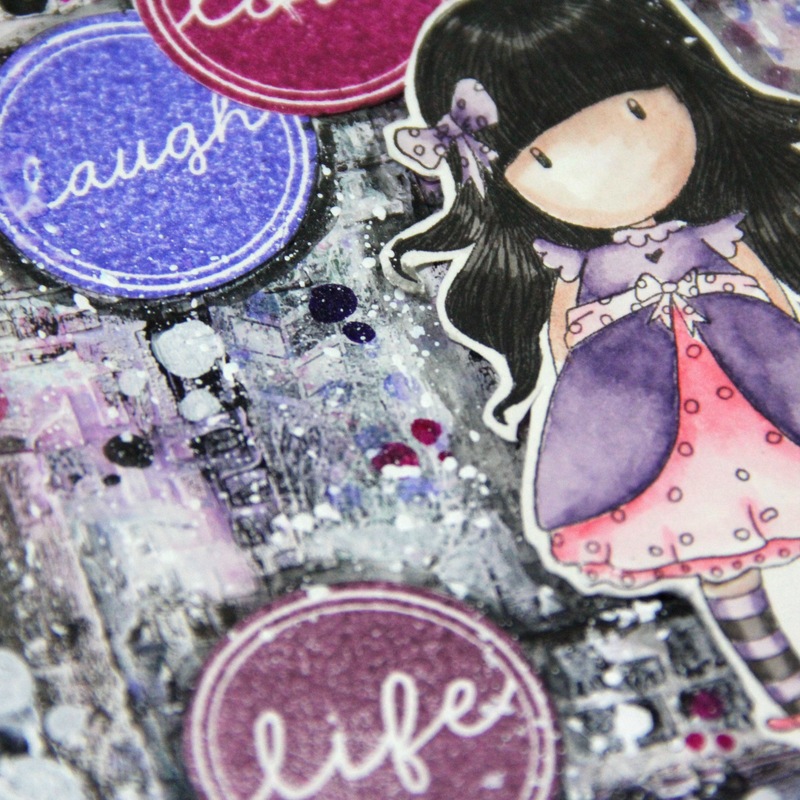 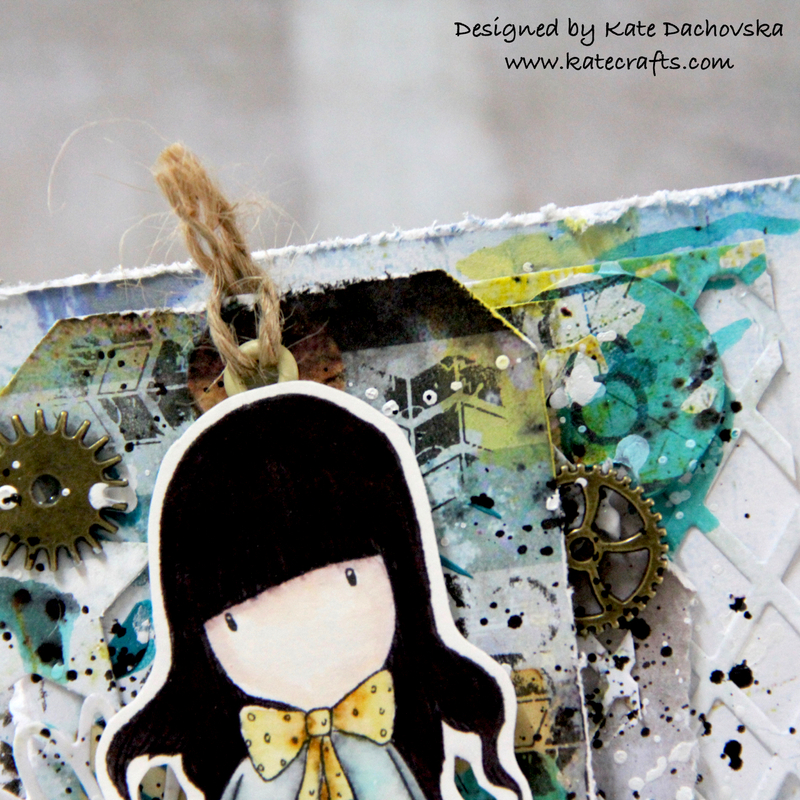 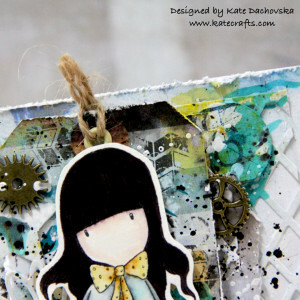 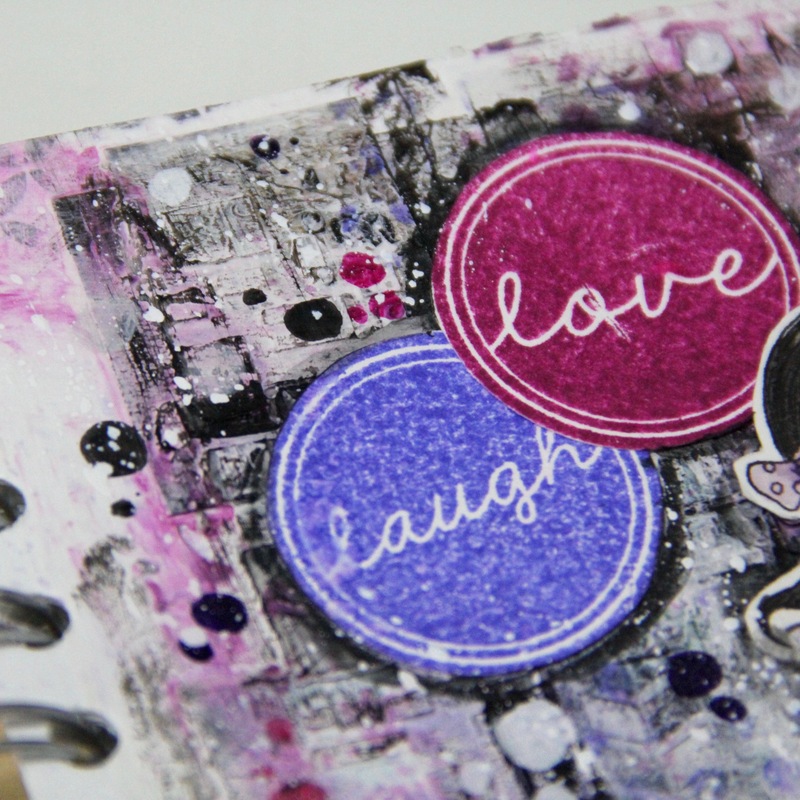 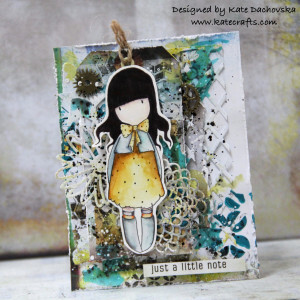 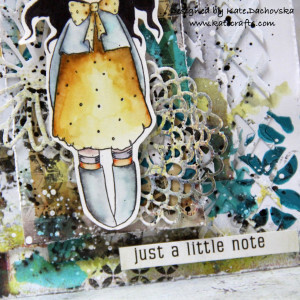 I stamped different La blanche stamps with Archival ink. 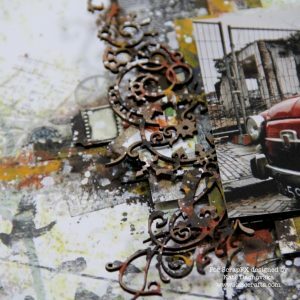 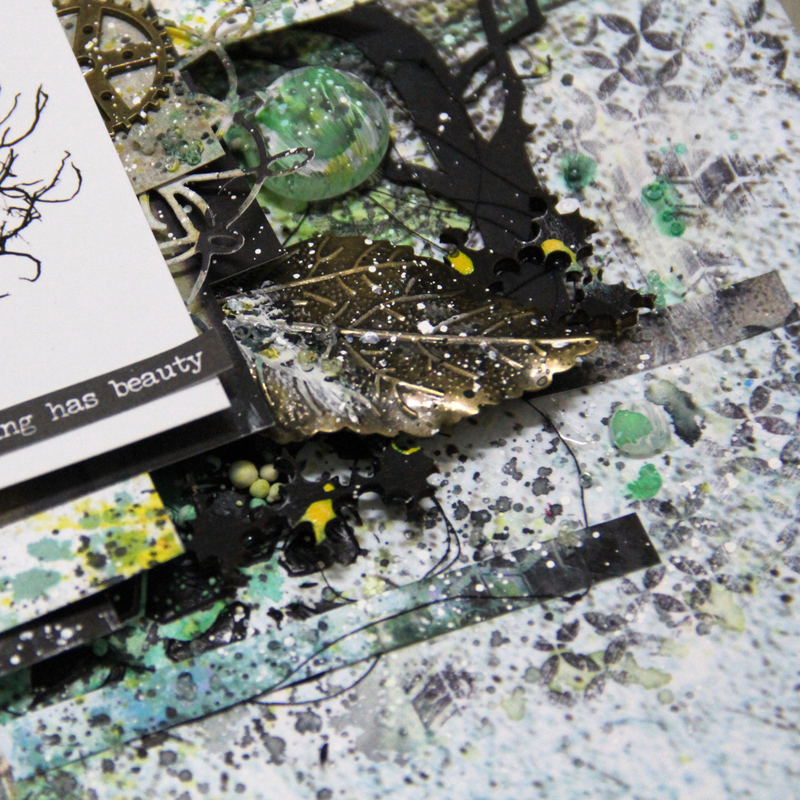 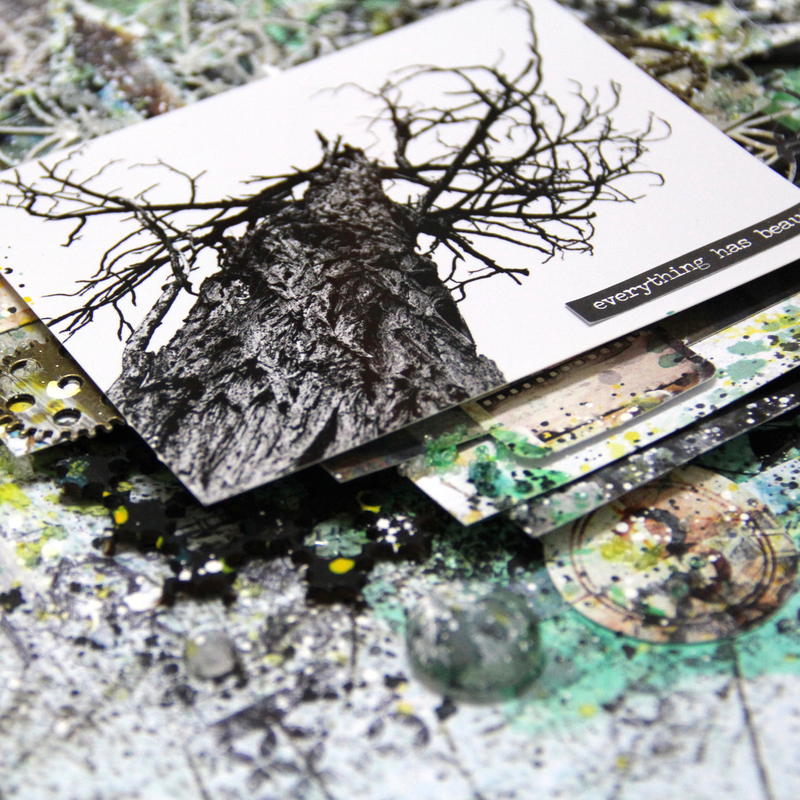 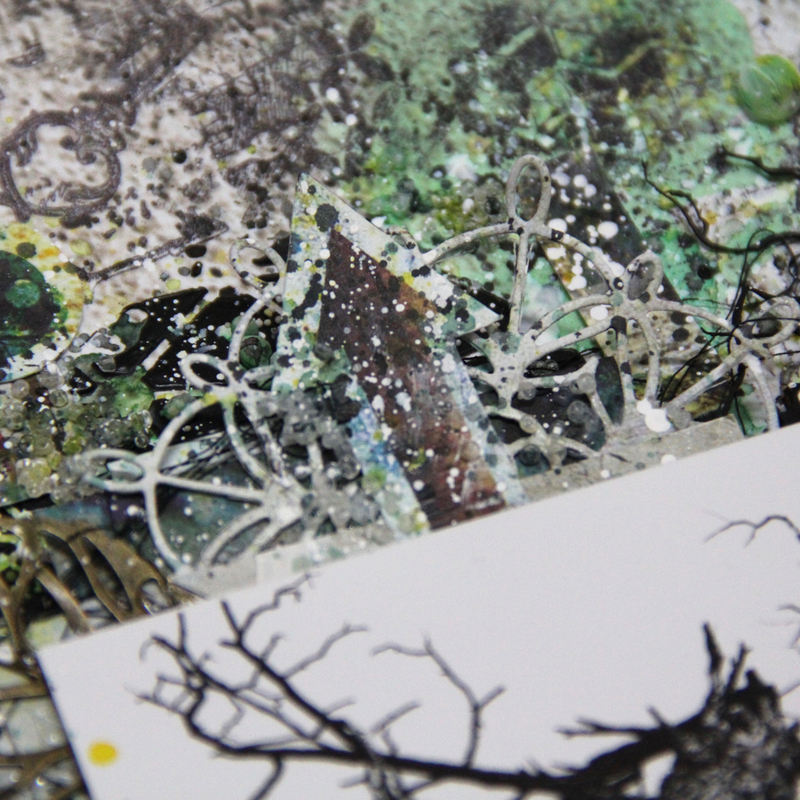 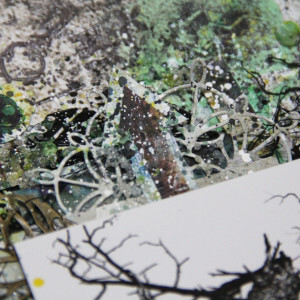 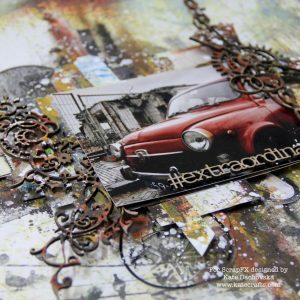 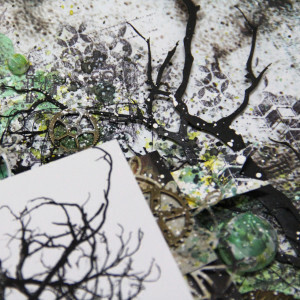 Chipboards are coloured wit Finnabair rusty pastes. 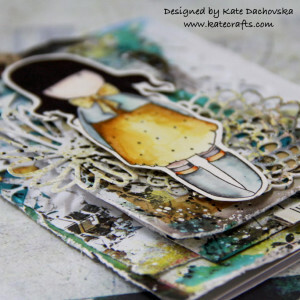 It is quite easy and not so layered layout. 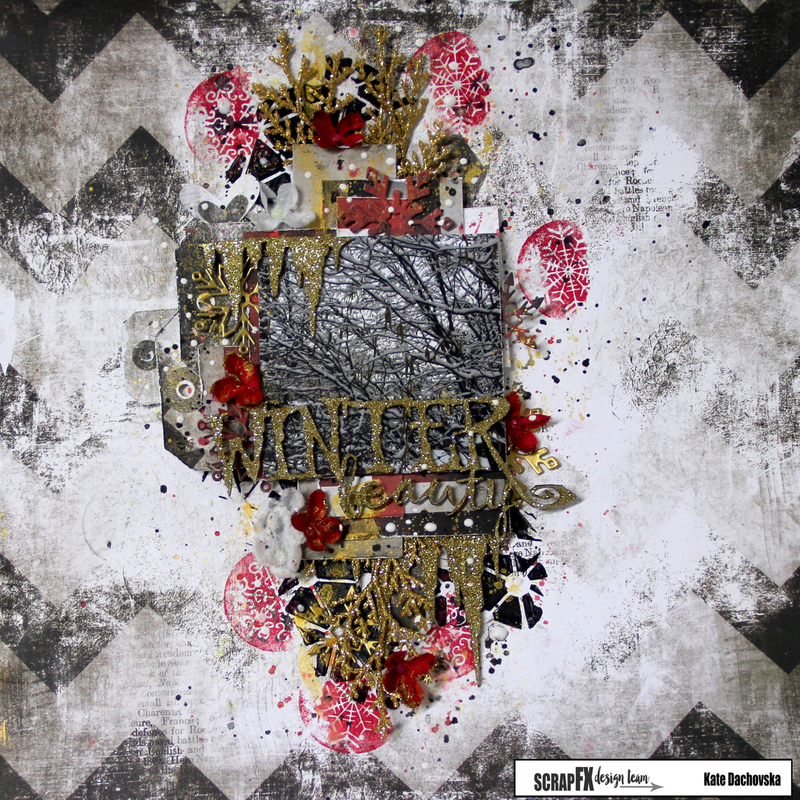 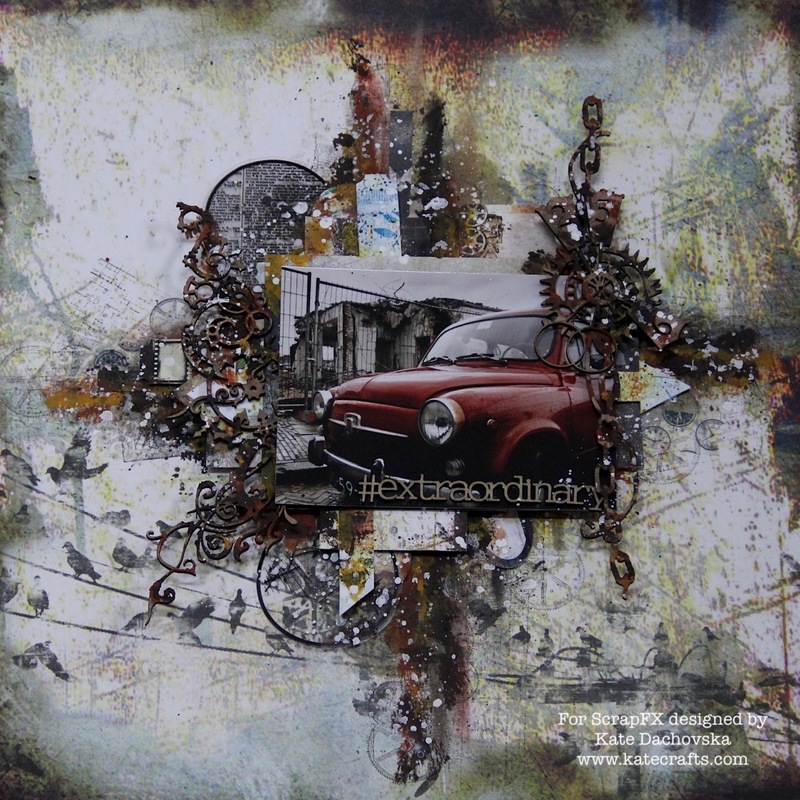 This entry was posted in Scrap FX and tagged 7 dots studio, canvas, Finnabair, layout, mixed media, Scrap FX. 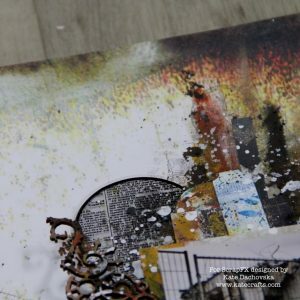 this is my first video tutorial for Scrap FX, I prepared layout Winter beauty. 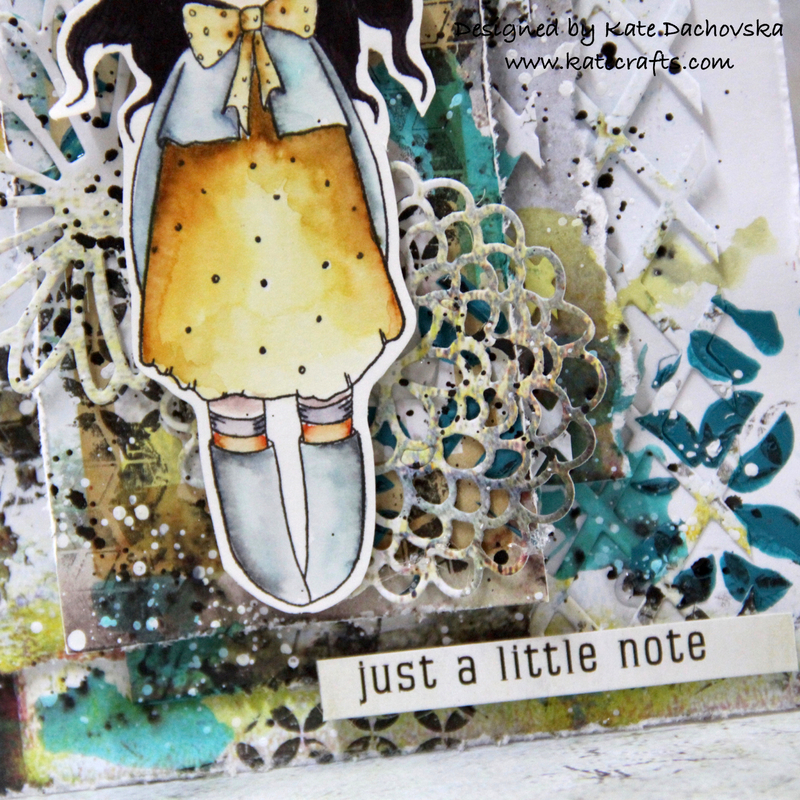 I used really unusual colours for me but I like how it looks like. 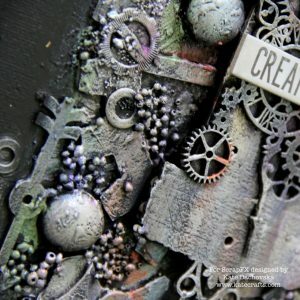 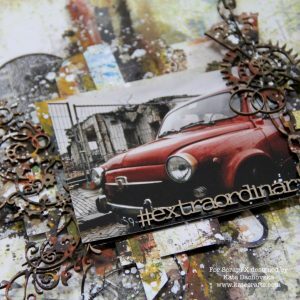 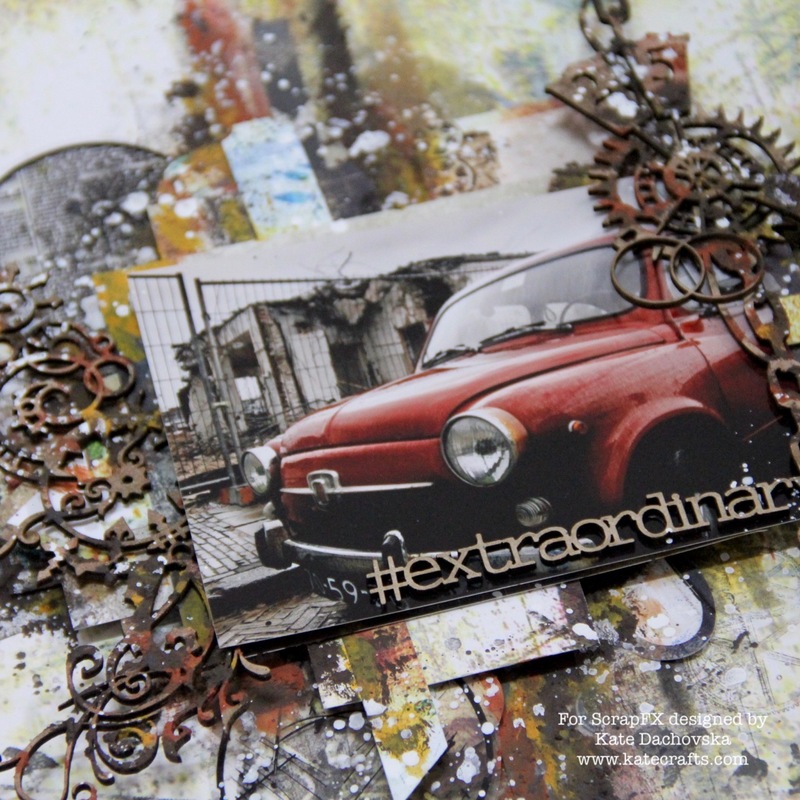 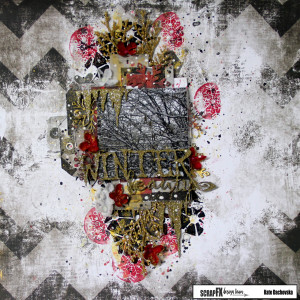 This entry was posted in Scrap FX and tagged 7 dots studio, layout, mixed media, Scrap FX, tattered angels, tutorial, video.